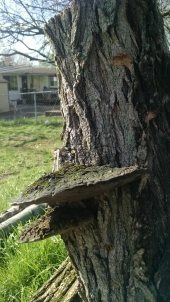 Mushrooms on Black Locust safe to eat? Help us look for land in Watauga County NC ! What could I do with steep, forrested, mountain land in WNC? Christopher Baber wrote: I'd ideally like to purchase about 10 acres of land to start our homestead on. I can live with anything +/- 5 acres easily enough I think. I'd like to be within about an hour of Asheville, NC. I've been looking at land for months, and the only land that's remotely cheap is the side of a mountain. Looking at Google Earth and placing paths on the land I've found shows slopes from 30% to 50% being pretty normal for anything I can find in my price range. Geoff Lawton says that anything over about 23% should terraced, which is expensive, and requires high skill level to do right. I'm not sure I've got the skill or money to do that right now, and I also think that the costs to do that will put me into the price range of gentler land anyway. I could do the terraces over time, a little at a time, but I'd really rather avoid it to be honest. Other than terracing, is there any other way to put steep land into a more productive state without spending a fortune? I've tried looking at much smaller plots, from 1-2 acres, since it's better than a suburban lot, but once you get that small, the cost/acre goes up so fast that it's about the same price as buying 10 acres, but with 9 to 9 1/2 acres being the side of a mountain, and still only getting maybe 1/2 to 1 acre flat enough to easily do anything. I'm kind of thinking that I'd just as soon buy 10 acres with 1 acre flat enough to use, and at least have some buffer to the neighbors, but I would still prefer to put it into some kind of productive use one day. Anyone have any thoughts/suggestions on what could be done? Roman Milford wrote: Land is not a homogenous commodity where there is a "fair" price for an acre. You get what you pay for. When I was looking for my property here in Ontario, I had to avoid southern Ontario because good farmland was way overpriced, probably because it's all on the outskirts of a still-expanding subburban sprawl. I started looking north, and found either expensive cottage properties, or "recreational" land that was affordable but useless for farming. Most of it was uncleared and typically conifers only. Uncleared land will probably cost you more per acre to clear than the purchase price. Finally found an ideal 80 acre property that was about half cleared, with a nice mixed woodlot, and most importantly, the soil was tested and identified and had a history of no chemical use. I paid an average of $2000/acre, which might seem like alot but my soil is a fertile sandy loam, and one of my neighbors runs an award-winning winery!